Mentobile technology give solution for Sport app development with Admin panel. for more information call us at +91 7017 967 183. Fantasy Sports is one of the fastest growing trend in the world which is full of thrill & excitement for users and an incredible opportunity for fantasy cricket operators to earn more.We help you in many ways to own your fantasy cricket apps or websites. Our services in the field is priceless because our focus to delivered the best services to maintain happy client relationships. We are a sophisticated and modern Fantasy Sports Website Development organization, developing exciting fantasy cricket software for Web, Android and iPhone. Planning to enter into the billion dollar promising fantasy sports business but not sure how to start?. We are all here to help you out with our wide ranges of Fantasy mobile app solution. We have years of experience in the industry and understand the challenges of the business. Therefore, our team of experts prepares the fantasy sports application that helps to setup a revenue driven fantasy sports business. At our active center, we aim to create a user-friendly and highly polished web and mobile fantasy sports development solutions. Our team of proficient fantasy sports app developers is managed to provide you with fantasy cricket games, supporting all leagues. Be it World Cup, Twenty20, IPL, One Day Match or any cricket championship, we offer smart and hand fantasy sports apps that can make your customers fall in love with them. We have years of experience in turning simple and traditional fantasy sports into an interesting and engaging game. Why Online Fantasy App Development? The fantasy app is seeing a huge number of users’ engagements as well as involvement of investors. There are millions of Americans participated in fantasy sport leagues, spending billions on league dues, web hosting fees and research. There is prediction that daily fantasy sports could be more than $10 billion industry by 2020. So, the fantasy cricket application can provide immense benefits to. Why Hire Us for Fantasy Cricket Software Development? 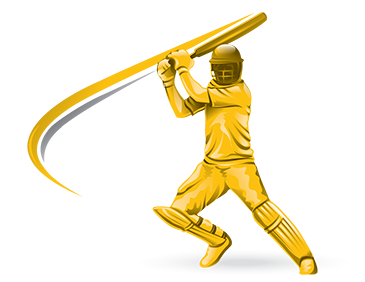 We are specialized in developing apps for Cricket Leagues like IPL to let your customers enjoy every cricket in a different manner. Our team of experts are specialized in developing apps for global cricket events of different markets like India, Australia, Sri Lanka etc., developing specific cricket gaming apps for ICC events and T-20. To increase user engagement, we keep our application straightforward, simple and motivational. We have a complete solution for fantasy, we have admin panel where admin can manager all league and match. Our organization provides top class white label fantasy cricket app development, they are customized. All of our fantasy cricket apps are advanced enough to provide excellent backend management to help you run your entire fantasy sports business smoothly. We are associated with all major cricket live-match data so that we can assist you to get fantasy cricket data feed for almost major cricket events. The fantasy sport football software developed by us has all the features that require a professional fantasy sports program. Each feature is evaluated and improved before finalizing. Our software for fantasy games allows you to launch your own feature so that you can get custom app development solution. Our software development for the gaming world provides you with the most comprehensive set of reporting and analytical support. You will get the report related to gamer's behavior. Each software of us has been examined for security. Gamers can confidently play the virtual game without risking their personal data. The fantasy game software designed by us has a built-in loyalty feature with appropriate tracking for referrals, deposits, winnings and multiple other activities. We are able to design the fantasy program that can connect with Facebook to play games with your friends. The social environment feature can make your app more advanced and engaging. In the custom software development solution, we are offering virtual software for many major games including Cricket and Football. You have choices to create a virtual game program of your interest.